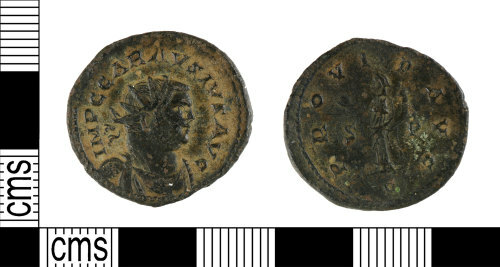 A copper-alloy radiate of Carausis dating to the period AD 286 - 293 (Reece Period 14). PROVID AVG reverse type depicting Providentia left holding globe and cornucopiae. C Mint. RIC V, pt.2, p.494, no.353.